National Eye Donation Fortnight 2018 will be celebrated from 25th of August to 8th of September. Every five seconds one person in the world is going blind and one child goes blind every minute. It is estimated that there are 0.12 million people in the country who suffer from corneal blindness and many other with visual impairment due to corneal diseases. About 20,000 new cases of eye blindness are added every year. Majority of such blind people are young and their sight can be restored only by corneal transplantation. This transplant is the most successful amongst organ transplants. Nearly 10 million people die in India every year, but the corneal donation does not exceed more than a few thousands. As the current rate of procuring corneas is about 22,000 per year, the backlog is increasing. This is due to a lack of awareness among the general public, ABSENCE OF MOTIVATION EVEN AMONG TRAINED PERSONNEL, AND SOCIAL AND RELIGIOUS MYTHS. Based upon our current ratio of available safe donors, we would need 2,77,000 donor eyes to perform 1,00,000 corneal transplants in a year in India. This is approximately a 20-fold increase from the donor eyes available now. To increase procurement of corneas, raising the level of public education on eye donation is an important first step. The objective of eye donation fortnight is to create public awareness and to bridge the gap between demand and supply of cornea. The National Fortnight on Eye Donation is celebrated nationally under the National Program for Control of Blindness. The majority of blind people are young (due to injuries, infections, deficiency of Vitamin ‘A’, malnutrition, congenital or other factors) and their eyesight can be restored through corneal transplantation only. 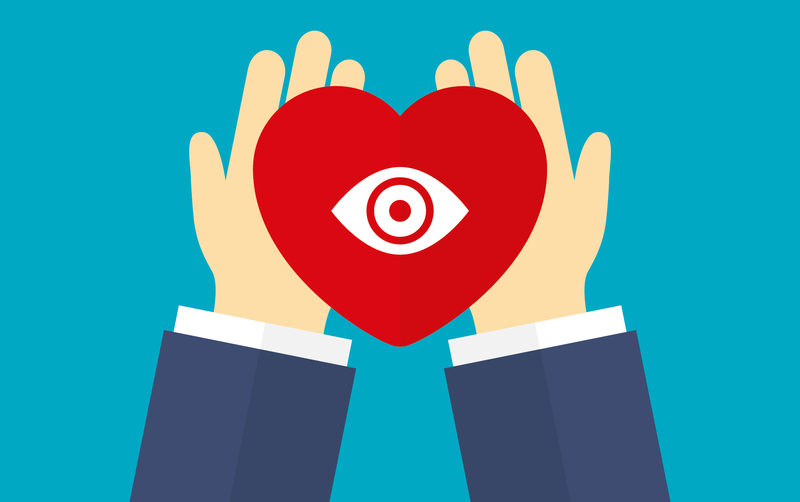 National eye donation is celebrated to promote eye donation to the people who are in need. Doctors usually recommend that every person should get their eyes checked every year. This will help them in maintaining their eyesight. The government and other institutes like Maxivision eye hospital, LV Prasad eye institute has started many camps for the people who are suffering from eye blindness. Cable TV – One-minute message on eye donation, running messages, and phrases regarding eye donation to be flashed in local cable channels. However, it is important that these should be televised at regular intervals at the prime time. Cinema Slides: Slides carrying the message of eye donation can be displayed in cinema halls. Articles highlighting the need for eye donation and corneal blindness to be published frequently in the local vernacular newspapers. Eye Bank staff and Ophthalmologist can give awareness lectures about eye donation with the help of audiovisual aids to college students, social workers, voluntary organizations and to medical staff. Pledging for eye donation is an excellent strategy to create awareness. This can be done in any of the nearest eye banks. By pledging, the individual is aware of eye donation, the need for eye donation and other aspects concerned with it. As an individual has to get consent signature from the next of kin for pledging, the awareness further spreads to family and friends. Concentrating on deaths that occur in hospitals will yield quality corneas. This is the best strategy to increase awareness about eye donation. In this programme, a trained grief counselor will be posted at the hospital to approach and motivate the family of the deceased for eye donation. Also, visually stimulating posters will be displayed at the concerned hospitals. Anyone with cataract or spectacles can donate eyes. A person suffering from Hypertension, Diabetes can also donate eyes. Eyes should be donated within 6-8 hrs of death. The total procedure takes 15-20 minutes. There is no disfigurement of the face of the donor. After removal, the eyes are analyzed, processed at the eye bank and then cornea is transplanted within 96 hours. Eye banks come under the Human Organ Transplantation Act and are given registration after inspection by competent authorities. Donated eyes cannot be brought or sold as it is a crime under the act. Call the nearest Eye Bank (1919) within 6 hours of death. Switch off the fans and keep the air conditioner or cooler on. Raise the head with the help of a pillow. Place wet cotton swab on closed eyes. Motivate others to pledge. Act as a catalyst and facilitate eye donation by counseling family members of deceased in your neighborhood, relatives, friends etc. Though many strategies are in place, awareness regarding eye donation is less. Hence, there is a need for the development of newer strategies to increase eye donation. SPEND ONE DAY BLINDFOLDED AND EXPERIENCE WHAT VISUALLY IMPAIRED PEOPLE GO THROUGH. IT IS SCARY RIGHT? HELP US GIVE THEM THE GIFT OF LIGHT. Treat it Young – Paediatric Eye Disease How to Take Care of your Eyes in this Digital Era?